Let’s talk about your spiritual path. Let’s talk about what’s no longer working in your life, and prioritize what your soul wants you to focus on right now. 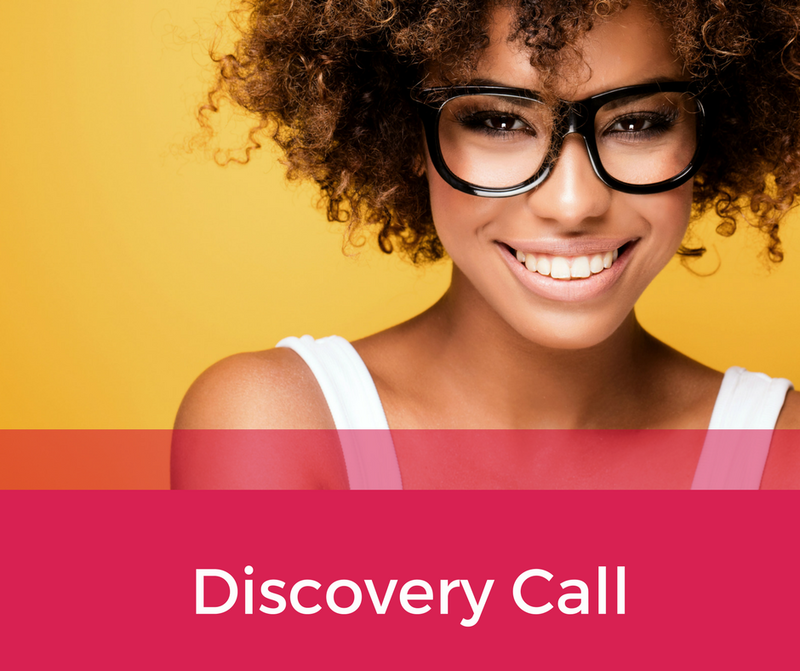 A Discovery Call is a great way for you to get a feel for what it would be like to work with me as your Spiritual Life Coach and Energy Healer. You will discuss the top 1-3 life challenges you currently face, and I’ll help you figure out the best route towards a working solution so you can feel better. I’ll make personal recommendations specific to your life challenges. If I feel we are a good match for a coaching relationship, I’ll also suggest which of my services or eCourses will be the best fit for you. This offer is only available for new clients. I have a good idea why you’re here. You’re frustrated. Overwhelmed. Maybe feeling a bit of anxiety or feeling down in life? I’ve been there. It seems like you’re spinning in circles, and you never have time to do what you really want to do in life.You may find yourself wondering where you’re going, and how you’re gonna get there. Sweet Goddess, I’m here to tell you: you have a life purpose that can give you fulfillment, peace, joy, abundance…but sometimes you need a safe space to vent, brainstorm, get clarity, and map out your future. We won’t figure all this out in one call, but I promise you will hang up the phone feeling hope again, and have at least 3 realistic options to explore for your spiritual path to enlightenment and happiness. I want to help you discover your hidden truths, the secrets to your happiness and emotional freedom. Let’s do this! I’ll tap into your inner world and help you discover what your soul really wants. 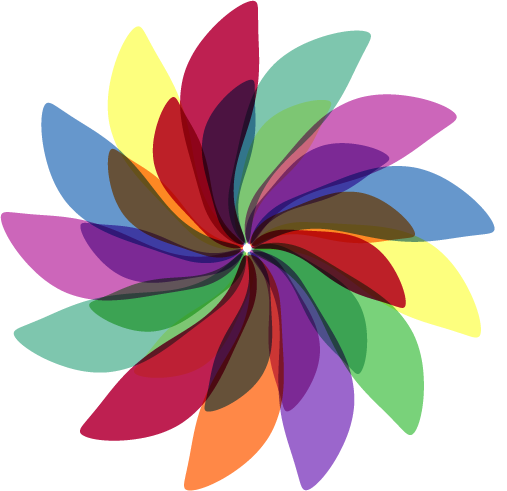 I’ll empathically connect with your chakra and aura energy, and share what I receive. After your Discovery Call session, you’ll have a clear plan of action that makes sense and that feels aligned with your priorities and values – what matters most to you. It’s time to put the focus back on you. Let’s get you off the hamster wheel of busyness, and stop for a moment to get some spiritual guidance and intuitive insight, so you can get to what really matters most: feeling good about your life, and know exactly the resources, love and support waiting to help you reach your desired goals. If you’re looking back on your life and you know you’re ready to let go of all the things keeping you back from feeling abundance, free, and empowered to design a life you love, there’s no better time than now to take that next step, and speak with a trained professional with real life experience in what it takes to balance emotions, clear energetic blocks, stop the overwhelm, and live the good life you know you deserve! You told yourself this year would be different. You’ve tried all the things that you thought would work last year. But there’s still so much you didn’t accomplish, so much living you didn’t get around to doing – trips you didn’t take, healthier meals you didn’t make, friendships left hanging in the balance, career goals put on hold, dreams collecting dust. You deserve so much more, sweet Goddess. This is YOUR year. What will you do to make 2017 different? Maybe the first step is all it takes to get you back on track. ONE phone call, one conversation, to inspire you and give you that boost you need to get your creative juices flowing, release the mental blocks, and get the spiritual guidance and intuitive insight you need to take real soul-inspired action this year. You can DO this! I came to work with Venus after I had experienced a lot of emotional turmoil and business loss this past year. I needed support and someone to help me get clear on what was most important to me now, to move through some old patterns and to gain some fresh perspective. I have gone through a lot of change and I needed to refresh my core values, and I was unsure about my next path for my career. She helped me gain some perspective and clarity, which was what I most needed as I was stuck in a cycle where I couldn't see "the forest through the trees" and also needed to feel supported. I am very happy with my experience working with her and would highly recommend her to anyone who needs support on getting clear and taking action going forward. I am grateful for our time together as it has helped me shift my thought process and perspective greatly to move forward in my life. I was fortunate to do the Jumpstart to a New You course. The recipes were so easy to incorporate into my gluten-free, dairy-free lifestyle, and my picky husband loved the salmon burgers. Venus's daily check-in with the private Facebook group helped me with my motivation, especially on days I didn't think I could follow through. The group was a way to stay accountable, engaged and excited. Venus posted though- provoking questions and tons of inspiration! I would recommend this program to anyone who wants to eat cleaner. Anyone can search social media or Google recipes, but you won't get the support and accountability you need to commit and see results. I chose to work with Venus because she’s so active, responsive, supportive, honest, and also very committed to learning. She’s well-informed and certified - not just holistic health, but also in reiki energy healing. She really stands out from other coaches. Before starting the Jumpstart to a New You course, I didn't feel at my best because I had JUST started a business program that had me working long hours and trying to move forward at a much faster pace. So, I felt overworked and tired! I was concerned it would be too much to keep track of, I wondered whether this would add to one more thing to do. But it turns out, the program was totally worth it! I would recommend the program to anyone who is looking for new recipe ideas and could use support on their way to health! I love the way Venus encouraged conversations in the private group, and reached out and gave attention to those with personal challenges and concerns. Her inspirational interaction in the group was very beneficial to me because it served as reminders to keep my eye on the ball. It helped remind me that I joined this group to make sure I would keep track of my health and not get too focused on work, so her motivation supported me in maintaining a balance in my life! Since I'm very new to meditation, and have an overwhelming schedule at times, I loved that this program eased us into the art of meditation by teaching us to start small and then build on this skill/discipline each week. Venus gave us gentle encouragement throughout the entire process. I loved the short video that summarized that week's assignment - so helpful! The 28 Day Spiritual Cleanse Program taught me how to fit mediation into my daily life. Venus' coaching was very inspiring, and the experience was interesting and fun! We were able to learn about and experiment with different styles of meditation. This program taught us vital skills to manage or combat stress. Overall, I found it a great introduction to a life changing discipline that gives you the tools needed to have more control and balance in your life - something we all could use more of! I’m glad I joined the program, as I've found a method of meditation that works for me, and that's do able. I would absolutely recommend this program to anyone I'm in contact with who is constantly juggling their life. We all have so much noise surrounding us each day, and meditation helps with quieting that noise for a period of time. Venus is such a pleasure to work with! Always good and positive information. The information from the 28 Day Spiritual Cleanse Program was very enlightening, and I am so excited that I've already begun to use it in my everyday life. I'm learning how to relax more and how to not let others interrupt my inner peace. HUGE for me! I am learning to branch out and do things on my own whereas before I would only do if I had someone to tag along with me. I had no idea about meditation prior to this program. I told one of my close friends about my meditations, and she was so inspired, she now starts her day with meditation as well as becoming more spiritually close to GOD. The 28 Day Spiritual Cleanse Program enlightened me on the aspects of mediation and the different types of mediation. I would definitely recommend the program to others. I have begun to make meditation a part of my daily routine and will continue to do so. Thank you so much Venus!!!!! Since participating in the 28 Day Spiritual Cleanse program, I can function better at work. I don't feel the same way about my job. It's like, my situation hasn't really changed, but how I feel about it has, and my life feels very different now. My mind is clearer, not foggy, since I learned how to do some 5 minute meditations. I am more motivated now. Just knowing now that I matter makes all the difference. Venus' encouragement and acknowledgement is Priceless! I also learned that I matter - no more burying my feelings, emotions. I am important, and I have to demonstrate that by making self-care, including time to meditate, a high priority. I should take care of and tend to my most basic needs as a woman, without feeling guilty. Definitely, I recommend this program to my all sisters, because they need to know they matter too. I would certainly recommend Venus and her services because she is a Modern Goddess in every way! She is so professional, caring, and passionate about what she does. And she has a vast knowledge of what she is training on. The most important thing people should know about this program is that it makes a difference in how feel about myself. Working with Venus makes that happen. GREAT EXPERIENCE! Venus is so amazing at what she does. Instantly I was connected to her amazing presence and desire to help bring clarity and awareness to possible and probable blocks. I love how you can feel how much she wants to help. Venus is such an amazing coach and knows how ask the right questions and seems to have just gotten me quickly! I came away with a clear idea of changes I should make in my life. 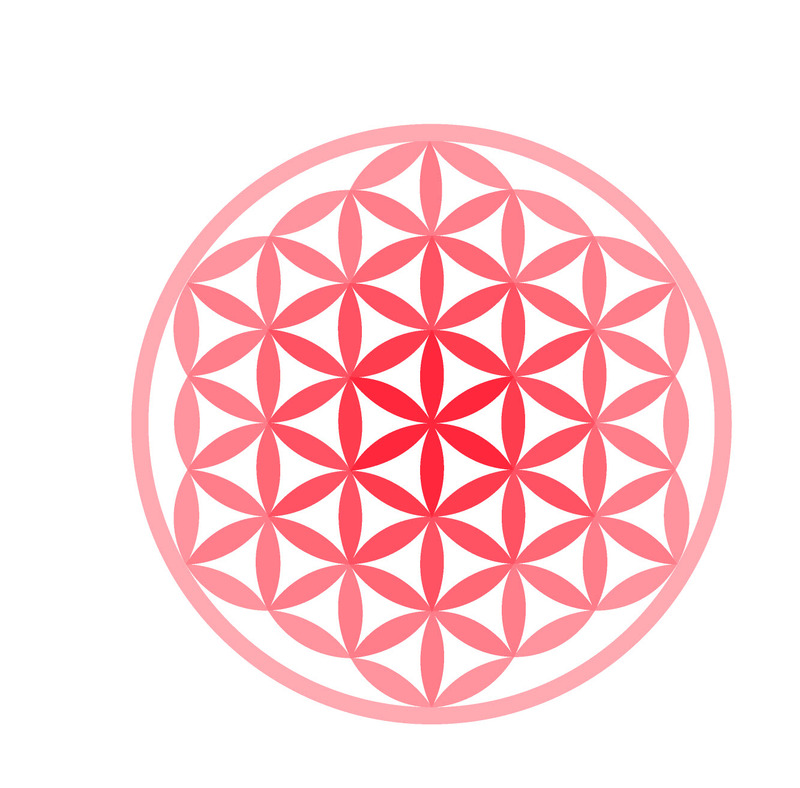 The chakra reading resonated with life events that I am experiencing right now. Venus is very thorough and knowledgeable. I felt a genuine concern for helping me create a healthier lifestyle. I highly recommend the services of Venus Aviv. During my Chakra reading she was informative, extremely patient and compassionate. This allowed me to speak freely to Venus without hesitation. Her recommendations were spot on. It was as if she knew me or my circumstance. The reading was accurate and resonated with my personal circumstance. In the recap, Venus actually spoke to one thing that I never mentioned to her. I found that to be incredible. Venus is a beautiful soul and is a joy to connect with. I had never had a chakra reading before working with Venus. Right from the beginning, Venus helped me to feel comfortable and loved. The reading touched on some very important issues in my life and helped me to put them into perspective. If was a reassurance that I am on the right path and to keep moving forward. Venus' enthusiasm, passion, and loved came through even over the phone and made it a pleasure to work with her. Working with Venus Aviv was so much fun. I loved the intuitive guidance! It was so spot on. Venus Aviv was so warm and friendly, and she seemed to really care about me! She really cares about the person she is working with, putting her whole heart in soul in the session. Her intuitive guidance was spot on. My eyes have been open to the "child like simple pleasures" my soul was craving. Being conscious of those things has brought a new level of joy in my life. She also helped me uncover a major block that I didn't even realize was there! She offered a new perspective that seemed to open up a whole new empowered way of living life. I loved my session with her and would do it again in a heart beat! Venus was very compassionate and full of life when she did my reading - a refreshing combination. She genuinely wanted to help clear any blockages that I have and help me work towards practical ways to clear them. We identified something that made me emotional that I wasn't expecting, and she gave me some ideas for resolving it. What she does is a great gift! I've never done a chakra reading, and I have to say - it was so much fun and helpful! I really loved how I had an action plan right after the call to immediately implement. Venus was really sweet and encouraging and I loved all the insights from the reading. Thank you so much Venus! My chakra reading with Venus was AMAZING! This was my first one and I am glad my first experience with this was from Venus. I felt supported before, during and after the reading because Venus gave me the space for expression as we went through the chakras. My chakra reading with Venus opened my eyes to where I was stuck, what I need to work on to get unstuck and received confirmations on ideas and items I was currently working on within myself. Venus is very knowledgeable in her understanding of the Chakras and how it comes into play as we live our lives. I came away from the reading with a greater sense of awareness, to begin the journey of healing myself in certain areas of my life and being authentic to myself on a deeper level. Venus truly is the "Modern Goddess" and I was blessed by her in so many ways. Highly recommended! I wasn't sure what to expect prior to my chakra reading with Venus, but the accuracy of the reading, and her ability to read my energy and pick up on information intended for me to hear was remarkable. I felt strongly connected with her and confident in her ability to help guide me on my spiritual journey. Just wanted to share with you what happened when we had our remote healing session last week. Before I talked with you about the pain and confusion I was experiencing (and you confirmed my intuition that it was a psychic attack), I was struggling. There was a woman I was working with who was trying to discredit me and attacking me verbally, even though she didn't actually know me at all. I was having a really difficult time trying to understand why and feeling seriously shaken by the experience. As you and I talked and you helped illuminate what was actually happening on a spiritual and energetic level, I was crying tears of relief and joy. Later that weekend when you sent me healing, I FELT THE SHIFT in my energy. I felt calmer and more peaceful. I had a difficult time sleeping and eating that weekend prior to that point, but once you sent healing I felt relaxed enough to eat and sleep normally again. Even being a love coach + healer, it is still not always possible for me to always see my own blind spots. You are truly a healer's healer. Not many people have the combination you have of extensive healing skills and experience along with a heart that beams true, unconditional love. Thank you, thank you, thank you! It was exactly at 4:04 am that I woke up in bed, and my head was filled with a millions different thoughts, all rushing in at once: "Do this, do that, do more, and hurry up!" I couldn't sleep, so I got up, sat at my computer trying to work. It was futile. I felt useless. Stressed. Anxious. I looked at my phone, thinking who can I call, and I think, "my medicine cabinets - what meds can I take to calm my nerves?" I decide not to go that route. Then I go outside and I burst into tears, and I think, "Why can’t I fix myself, what is wrong with me, why am I acting like this, what I am I doing wrong, why can’t I focus?" My work deadlines are fast approaching, I need to work, I need to study, I need to up pack from my upcoming trip, and suddenly I felt it. Pressure building in my chest, tension in my back, and a nagging pain in my heart. I had just buried a friend and a parent, not 30 days apart. I cried, feeling ashamed that I feel so bad. Others have it much worse than me, I should be grateful, but I feel SO bad. Once the tears cleared, I sent a message to Venus. An angel must have heard my cries and sent her a message, because she responded quickly! She recommended a Spiritual Insight session, and it was just what I needed. During the call, Venus reminded me of all the things I DO have to be grateful for: I have food, I have shelter, I have resources, and I have love. She help me to remember how empowered I really was over my situation, and her words were so comforting. She held that tender space with me, was patient, and really listened. She also provided me with a plan to move forward, and suggested creative ways to get over some of my immediate hurdles. First she suggested, I look at the mirror life is showing me, that should not run away from what is hard, that I look at what energy I am putting out there, that I take a writing course to keep my job, and finally she suggested what we ended up calling the “7 day opposite plan”. I left the session with plan to care, empower and love myself over the next 7 days. I am going to create that list of to do’s and don’ts, for Samantha; and I am going to post those stickily to love myself and I am going to make a testimonial to you all that I have completed step one. Lastly, I am going to remember to live in the moment and not in the past. Thank you Venus for helping me get out of the woods by providing spiritual guidance, and helping me connect the dots to the spiritual world and my life in such a simple way that makes sense to me. You really helped me take a step back, see the big picture, and come up with a clear plan I can feel good about. At a time when life seemed overwhelming, you provided me with simple tasks to step into the life I deserve. I was amazed at how accurate the Chakra + Aura Energy Repair was in several areas! My reading began with a text from Venus at 5PM in the evening that read "are you eating? I'm doing your assessment and your stomach is doing weird things...". I was floored. How did she know that I woke up that morning with a bubbling stomach that lasted most of the day, or that I had only eaten breakfast with no desire to eat anything else that day because of what my stomach was doing. She had my attention. During the review of my reading, Venus hit on feelings and thoughts that I hold that was unique to me... some of those thoughts I hadn't shared with anyone prior to our chat. In one area of my assessment she noted that she picked up on my life long interest of being of martial artists and suggested I explore Krav Maga, an art that is not at all main stream when most think of martial arts. Again, I wondered how she could possibly know that for over a year Krav Maga had become my art of choice and that I was planning on attending classes when financially able to. Overall, I'm really pleased with the experience. I have to admit, I'm naturally intuitive, but I had doubts - I didn't fully believe that she could pick up my energy remotely. I am pleasantly surprised at Venus' accuracy. The reading reminded me of my personal power and my ability to create my ideal version of me. I also appreciate getting a private PDF report emailed to me, with a detailed explanation of the emotions in specific areas of my body that contribute to my energy blocks. Amazingly accurate! I absolutely would recommend this to anyone seeking enlightenment and awareness of what they should be focusing on. I feel like Venus held a light up to my blocks and gave me all the resources I needed to move through & clear my energy. After reading her assessment I was absolutely amazed! She pin-pointed events from my past that I never shared before and gave me specific tools to clear them. On our call, Venus helped me get clear on the beliefs that were causing my blocks, taught me techniques to protect my energy, and followed up with even more great resources to give me a plan of action to clear my blocks! I loved working with Venus! She gives so much, has an amazing talent for healing, and she's so much fun to chat with!!! Throughout my reading with Venus I felt held in a warm, loving embrace that allowed us to safely and courageously explore unresolved issues and spaces in need of healing. Venus offers laser-beamed intuitive guidance and actionable steps to help step further into gratitude and empowerment. I highly recommend Venus to anyone dedication to transformation of their spirit and psyche. Thank you, Venus! I really wasn't anticipating anything, just trying to be open for whatever came. It definitely met my expectations, and went above them. My session with Venus was inspiring and motivating. Her accuracy was right on and she was able to provide confirmation on some projects that I am working on. There was a lot of accuracy and it was confirmation for me that I'm headed in the right direction. I definitely recommend her services - especially those that are ready to lighten their load and start peeling away the energetic blocks! My session with Venus was fabulous! Venus was very easy to talk to, eloquent and clear. She gets to some very deep truths quickly. If you aren't prepared to hear them, this may not be for you. She got to some very deep inner truths almost immediately. I left with tools and tips on how to deal with these issues that were very helpful. Never having spoken to her before, I was a little nervous. I felt she had a cool and welcoming vibe that made it easy to connect. Made it seem as though I was talking with a friend and confidant. The conversation was natural and enlightening. My reading with Venus felt as if I was speaking with a good friend and confident. Venus connected to what I was feeling and confirmed exactly that. She was clear and concise in her deliveryShe delivered my reading in a way that made sense. She picked up and confirmed what I've been thinking about. I feel, Venus is really down to earth and she offered insight and guidance for my higher good. No mumbo jumbo. Happy to Highly Recommend. Venus has a very calming presence, it's easy to relax and be present in the moment with her. I loved her honesty in our session together, she doesn't try and fluff things at all, she tells it how it is, and is very professional and genuine. Venus gave me her full, undivided attention: she is dedicated to her work and makes you feel when you are with her you are her 100% focus. I recommend her work wholeheartedly. The reading exceeded my expectations! Venus is a delight! I really liked her professional attitude, meeting set-up, and the manner in which she prepared for my reading. I felt very nurtured and safe throughout the experience. Venus is professional and it is very evident - she is prepared, and has excellent follow-through! She really is very good at what she does - it shows in her work style. Venus is a fabulous healer and takes her professionalism seriously, as she devotes her energy to each client. Venus covered all of the aspects that aligned with my reading making all of her recommendations individualized and specific to my needs at this time. My session with Venus was pretty amazing! Right from the beginning, it was like talking to an old friend. Venus is super down to earth and has such a calming presence. She has such a peaceful influence and just put me at ease immediately. As soon as we dove in, she saw one of my biggest blocks right now. We worked through it and she suggested some actions for me to take over the next 2 weeks to see how I could change it. My session with her left me feeling heard and open for change. I can't wait to do more work with her! I just want to say how amazing my reading with Venus was. Venus has a great inviting energy that makes you feel good in her presence. The energy was relaxing and inviting. I felt at ease talking to her. I really appreciate the inspirational, motivational encouragement from Venus. She has great energy and clear seeing. And she not only gives you the messages, she also helps you come up with a plan for afterwards. I love the take home exercises I could do to help ground the messages I received. I left feeling good and empowered to move forward. She is gifted and clear sighted. Thank you Venus. Thank you so much Venus! I really needed to hear your words to help me understand what I have been thinking all along. You have helped me to realize that my self doubt is exactly that, self doubt and nothing more! Thanks for creating such a safe atmosphere. The Chakra + Aura Energy Repair with Venus was truly amazing...I feel as if veils of illusion have somewhat been lifted since our session, it's actually hard to describe in words. I felt completely open talking to Venus about the blockages that she assessed...and she was able to help tie together what she channeled with where I am physically, emotionally, and spiritually. We also discussed ways in which I am growing at this time and how this all weaves together. This made the experience very holistic for me in terms of healing. Additionally, Venus provided concrete recommendations that I can implement, and in many different forms (so that I can choose the ones I resonate with). The aspect I appreciate most about working with Venus is that she comes from a place of Truth for me...I feel complete authenticity and love, as well as the sense that she has been there and worked through much healing herself and thus can speak from experience. I would highly recommend working with Venus - the chakra + aura repair brought so many pieces together for me and I am experiencing much more peace and serenity today than expected!